It is certain that when the masses think about the electronic dance music scene, that their minds immediately go to cut scenes from “Night at the Roxbury”, and images of a bunch of strange people doing drugs and being weird while dancing strangely and demonstrating debauchery. Where it is not entirely off-kilter, the reality is that the scene actually is the polar opposite of the automatic thoughts that auto-populate through the minds of the unknowing. The EDM culture, is one that in reality is based off a simple premise, which is freedom, justice, peace, love, unity, respect, and conscious evolvement; and it is a movement, more specifically a dominating force. 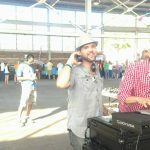 At the frontlines of the movement is a gentleman named Lorin Ashton, who is an American producer and DJ that goes by the name Bassnectar. For those that may not know, Bassnectar is based out of California, and he draws influences from nearly every genre to produce his own sound. He is a singular, unmatched force, and when he performs, he does so with a sole elegance that leaves the witnesses jaws on the floor, long after the performance is over. It is the Bassnectar experience, and it is unexplainably a supernatural force. 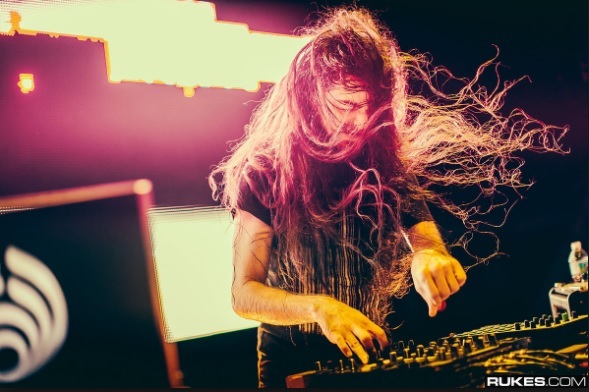 What Bassnectar is doing goes far beyond the reach of music. Where he does produce music that is soul quenching and unleashes a universal sound that can be felt in the hearts of the masses, he is an activist for humanity, and for the evolution of consciousness expansion. He is a freedom fighter, perhaps even a Jedi Knight, that is using his platform to shine light into the hearts of the world. For those that do not know, over the last few years, Bassnectar has risen to the top of the ranks of the culture. Where he was already a heavily sought-after artist for festival fans, 2018 was his time. He stood on the podium as number one. The year of Bassnectar, and the beginning of a movement that would unleash its power into the world and spill over far beyond the realms of the festival grounds. 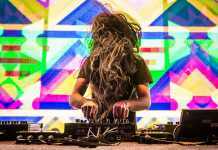 The question in 2018 was not, which festival will Bassnectar be performing, rather, but in fact was, is there even a festival that he is not playing? While the answer technically is yes, realistically there were not that many. Most of the mainstream music festivals with any stature all had his name on the top of the flyer. “Come one, come all, become a better human being” by showing up to a Bassnectar show. He started at Okeechobee doing two separate sets, one with minimal production under the Florida night sky, and one that would set the bar extraordinarily high for the rest of the year. No matter how difficult it seemed from onlookers to match prior performances, Lorin managed to outdo his own self every time. Amongst others, he put on unfathomable sets at Buku, Spring Gathering, Electric Forest, Camp Bisco, Imagine, and EDC Orlando; never trying to be the best, just simply doing it. Let’s not forget Bonnaroo. Bonnaroo has traditionally not been much of a rave scene festival, however, the last two years of it had us running around calling it Bonnarave the whole time because it essentially has evolved into that. 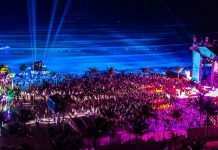 Certainly, there never has been an EDM headlining artist at the event, even though Grammy award-winning artist Flume played there in 2017, he did not headline it. Low and behold, 2018, Headlining artist Bassnectar would play for the massive 200,000 plus audience and showing some of the unacquainted what the movement really is all about. It was one of the best sets in the history of music. He even dropped some Michael Jackson right in the middle of it. He absolutely killed it. Something else that sets Bassnectar apart from other artists, is that during his sets, he uses the stage as a platform to spread messages of love, unity, breaking molds, thinking outside of the box, fighting injustices, and more love. Blatant, compelling words of hope flash of the screens during his performances, which gives him the ability to reach out to the masses to open their spirits. It is beautiful. It is no coincidence that these massive music festivals all have joined forces with him, it is the universe at work. At Electric Forest last year, a festival that has become so popular that it has two separate weekends, Bassnectar did play two separate phenomenal sets, and after the fact publicly stated that his favorite part of the entire experience was the humanitarian efforts that he did in conjunction with the non-profit called To Write Love on Her Arms, whose purpose is to serve and encourage mental health, from light-hearted art projects, to proactive suicide prevention. Electric Forest set up little telephones in the trees, and Lorin sat inside of a little treehouse where he basically acted as a switchboard operator. When the light was blinking, he knew that somebody picked up the line, and he would then anonymously engage them with a meaningful conversation about friendship, philosophy, and the meaning of life. That was his favorite part, connecting with humans. So, 2018 was an incredible year for human beings, and we should all thank Bassnectar for his contributions to the cause. It certainly has not gone unnoticed, or un-felt in the hearts of everybody, even by those that were not there. 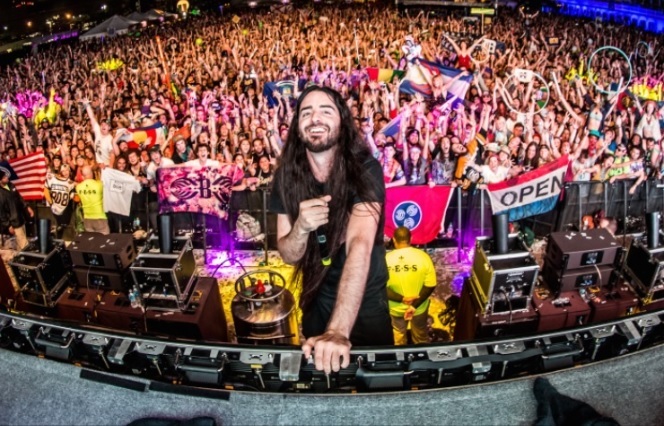 There is still one last chance to experience the magic before Earth laps the sun yet once again, and that is in Greenville, South Carolina, on New Year’s Eve, at Bassnectar 360, where he performs on a rotating, circular stage. Those that know, know. Those that don’t, need to come find out what the Bassnectar experience really is all about. Join the movement, dance, be free, fight the power.